In every major disaster, in most of recorded history, and all of prehistory, rats, mice, and insects may have been the number one most common cause of death. You must be adequately prepared for them. They can very easily become the major problem that kills you, your family, neighbors, or your group. – What am I talking about? Just rats, mice and insects. These pests can destroy far more food than they can eat. They can harbor a number of diseases that can easily result in your death in a survival situation. In a SHTF situation, what do you do about it? Well, Be Prepared is one answer. Improvise, Adapt, and Overcome is another. Just basic cleanliness. This may not be as easy as you think. 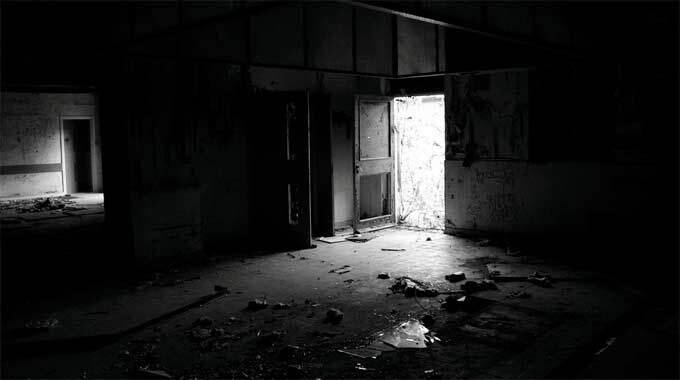 You could be living in a dirty environment. You could be living in the ruins of your current home. You just don’t know. So, a couple of brooms and dustpans. You likely have these now. But you might need to have a few more. Do you think you will be able to use your vacuum? Will there be electricity? Probably not. We’re talking about SHTF collapse conditions. Trash. Food cans will need to be burned out and buried. Or washed and used for repair materials or any number of things. You can’t just toss them without thinking. Same for other ‘disposable’ food and water/drink packaging. How about an adequate supply of matches and dish soap? How about mouse traps. Will a dozen be enough? The plain “Victor” snap traps work as well as any I have used. A small amount of peanut butter makes a good bait. So do candy gumdrops. You may want a couple of live traps as well. “Mice Cubes” are very good (see them here). They are another consideration. You may need a dozen for vermin control. A rat trap, though, is one of the best means of providing survival protein going. It is capable of catching and killing everything from birds to rattlesnakes. Bug spray. At least one dozen large cans. The kind you can put on skin. You might consider doubling that if finances allow. You will also want the kind you can put on clothes and let dry. This will typically last for as many as half a dozen washings. You will be spending a lot more time outdoors, and the bug populations can be expected to soar. You will need enough of the room fogging type insecticide to bomb your home at least three times. When you use it, use the old stuff and replace it. That should get you through at least one year. You and your group will be going in and out of doors pretty regularly, and insect populations are going to be up if prior disasters are any indication. Fly swatters, about 6. And keep another dozen cans of room/yard spray. Keep at least 4 cans of wasp spray. You don’t want to deal with them without the stuff. Don’t forget any animals you may have. Have enough on hand to get them through a year, especially those that may share your home or bed. The ‘one-drop’ treatments work better than collars or powders, but have something available. I hope I have given you something to think about; maybe a new direction for things you need to prep for. Mosquitos are the problem here. Mosquitos are the cause of more disease than almost anything else. We are so close to the river. With all the extra water this year and the early snow melt, we are overrun with them. The town runs a truck around town spraying out the back. This year they tried spraying by airplane but they had so many complaints about the low-flying airplane that they abandoned that idea after one spraying. With no mosquito spraying by the town, it could be miserable in the summer. I have quite a bit of insect killer, insect repellant, citronella candles, and a hat with mosquito netting — but the hat is stifling hot to wear in the summer. Thanks, Poorman, I will try that today. We used Avon Skin So Soft on the kids when they were little and didn’t want to use the harsher chemical sprays on them. I was fairly effective. Living on the gulf coast, mosquitos are like flies on s***, they are everywhere. I have both moth balls and urinal cakes to keep the mice out. I would rather repel them than kill them. We do have traps that we have used in the past and will use them again when our repellents run out. We are the only house in the neighborhood that is not overrun by rabbits. We have two very happy cats. You also need to consider what’s going on with your neighbors–if they would be the kind to just pile their garbage if there’s no collection, or if they routinely have standing water. You need to account for the habits of those around you. We have rats. I would love to have an outdoor cat, but we’ve had too many poisoned, shot, or just plain disappear. Apparently my neighbors would rather have mice and rats. Tree rats as well–I have a neighbor that feeds the squirrels. Those who live in a more rural area may have it easier in this regard, but problems in other areas could also flood over into yours. We have a lot of tree rats around here. I trap them in a small animal trap baited with pecans, corn or sunflower seeds. Easy to dispatch with a BB gun afterwards. No noise, no fuss… skin them and pack them away in the freezer or eat right away if you so choose or simply toss them in the bayou for the buzzards. Last year I trapped 26 in about 6 months. They multiply like rabbits and are destructive little pests… they dig up seedlings, eat crops, ring and kill vining vegetables, nibble on and ruin other vegetables. They are easy to trap. Right now the only problem “animal” I have is snakes. An occasional rabbit hops thru the yard, but my dog runs them off, she does the squirrels too. Mosquitos can be very bad if it is very humid here. I usually stay inside. Diatomaceous Earth for creep crawlies. It rids my house of ants. Powder form; sprinkle at night; vacuum in morning. And where it is sprinkled eliminates any return problems at my house so far. Also good for garden; just sprinkle on plants or in soil. Yes, I just checked some 5 gallon buckets of rice w. DE—I check every year or two. It was fine…it did have that stored/no oxygen smell to it, but I think/hope that’s normal. I only check one or two each year. Too many stored here. Heavy for me. You can get 50 lb bags of food grade DE at the feed store for the same price as that 10 lb container. Same stuff. Agreed. Although not everyone lives near a feed store who may read this. J.J., you can also ingest DE, food grade only. I use it for my dog to promote excellent coat and bones, added benefit keeps worms out of her stomach. I also use it for my pigs and the chickens get some mixed into their mash too. I have mixed with water before to try as some swear by it for their health. I never feed it dry because I do not want them inhaling it…very bad for lungs. Who the heck needs to go to the range? I am up to between 40 and 50 tree rats so far this year, I lost count – real prolific year for them. The young are skinny and present a challenging target. They are also very quick jumping from tree to tree. I guess I need to find a good recipe for squirrel as the SHTF cloud looms larger. Squirrels: If you are less concerned about the meat I’ve used a shotgun-less precision needed than a small bore rifle. We always skinned and quarterd, then butter fried it up; a little tough/chewy but edible. Before cooking we always refrigerated in salty water overnight, then rinse. Shotgun takes all the sport out of tree rat removal. Besides, I do not want to donate 2 boxes of shot shells for these invaders. I use a heavy barreled Remington Model 504 bolt action with Leupold Scope. Good for 3 shot group in a 1 inch circle at 50 yards using bench rest – not bad for Federal rim fire. Wasn’t familiar with the Remington 504, looked it up, very nice. The Leupold is icing on the cake. One of the rim fires I have is a Remington 12c, open sights, shoots shorts or longs that I use on occasion,. Grandfathers old rifle, checked the serial number a long time ago, think it’s a late 40’s built.. Do like shooting shorts (that’s the bullet size NRP). Or you can purchase an air rifle or two, they make great ‘mousers’ and if powerful enough, work on small game as well. They also afford inexpensive rifle practice if it comes to that. My brother had a homing pigeon loft and we kept the numbers of mice, rats and possums down using these firearms. @NRP, re: old fart…Hey, I resemble that! I can still handle an 30-06, but that’s about it. a 3 1/1 inch magnum 12 gauge, now that is just painful. I do have the “opportunity” to try a 50 cal., no so sure about that one. Would take out the squirrel and the tree in one blast I guess. I do have a .177 air rifle with scope, works well on small ground critters. Very nice air rifle you have there. I have the Ruger Blackhawk Elite, with a 4×32 scope, 1200fps. Forearms are better conditioned with the break barrel. Also has a “noise reducer”. I only bring it out when the neighbors can’t see it. I have the .177 model. Amazing feet-per-second and accuracy… and it’s quiet (relatively quiet). If you get a chance, shoot the 50, it’s a hoot, I used to invite people all the time to shoot mine, till I lost in Navajo Lake of course. It’s fun to watch them, after the first shot they cant get enough…. Like Candy to a Baby. Just remember, use Ear Plugs AND Muffs. NRP ,,,50CAL,, I learned NEVER let a guest shooter have more than one round at a time made the mistake of having 10 rds in the mag once. with the B82 ,most often hear, , it kicked but it wasn’t so bad ,,,can I shoot again? NRP, thanks on the 50 Cal. advice, will give it a try. 10 rounds… ohhhh about $70 – $80 now adays…. As stated soak in a lite salt water bath, rinse well, prepare as if you were going to fry chicken. Season same way salt-pepper-poultry seasoning. Mom would dip them in butter milk then flour, fry in a cast iron skillet with Crisco(I know not good for your health)put a lid on the pan cook all the way through then lift the lid to get rid of the moisture. Oh, and Dad would kill them using a 22 rifle, always a head shot so there was no wasted meat. Antique Collector, you brought back memories with the iron skillet and 22 head shots. Also, easy to call them, use two quarters, hold one flat the other edge, then hit the on edge quarter against the flat one, makes them move around. I did a lot of still hunting in the hardwoods, tromping in would scare them off, wait a couple of minutes, do the coin call and they would move around. I made stew out of them by slow cooking 20 or 30 of them in my big turkey roster until the meat falls off the bones, even the tiny rib meat. I add veggies, onions, egg noodles and chicken bullion and it was the first to go during our Christmas party for 80 people when I lived in the Poconos. Most didn’t know it was squirrel stew. Best squirrel you will ever eat. Bread it like for chicken frying with a spicy breading, fry it up, then pressure cook it for about 10 minutes. The spices permeate the meat and the squirrel becomes very tender, almost falls off the bone. Skin and gut the squirrel and remove the head and feet and throw them away. Soak the squirrel over night in brine in the refrigerator or simply thoroughly coat them in a salt seasoning mix and refrigerate over night. Rinse the squirrel then cut up into chunks (remove legs and split or quarter carcass) and brown on each side. Put a couple tablespoons of bacon fat in a skillet and sauté down a finely chopped onion and couple finely chopped cloves of garlic. Make a dark roux (takes about 35 – 45 minutes) then add a quart of chicken or beef stock. Toss in some salt and pepper to taste and the sautéed onions then throw in the browned squirrel’s then simmer for about an hour and half, stir occasionally. Serve over rice. Bugs: “skeeters”-we get three different types through the summer season: big and slow ones, fast, small and aggressive ones, then small and slow version. Black flies in the spring (pesky things), deer flies, horse flies and the occasional moose fly (horse fly on steroids, suckers are about an inch long at least, they take a chunk out of you). Wasps get knocked off with spray, same with hornets. Bees I leave alone, except for the ground bees, stung too many times. Mice I trap in the sheds and vehicles, peanut butter works well. No rats at this time. The local owls clean up the ground critters sometimes. I dispatch chipmunks since they really trash cars, sheds and leave ground holes everywhere. Squirrels I leave alone, future meal I guess. I use Cutters for bug juice when needed. One advantage of the dry climate in the southwest is not many mosquitoes. But not so fortunate with squirrels, chipmunks, mice and some years snakes. We have someone who works as an exterminator here and she said to spray WD40 in their holes, they will leave and then you cover them up and they don’t return. They can’t stand the smell. We also have a happy cat. We feed him dry food only and he gets his own takeout. I do have a few unwanted critters that try to setup housekeeping, they don’t last long. I keep 8 or 9 traps loaded all the time in and around my Deep Pantry, and have a few spares if needed. I like using Urinal Cakes for repelling critters (works good for ants/bugs also) from around/in the Garage and vehicles, basically HUGE mothballs. They also seem to work well for skeeters” not that I get many being a few hundred feet above and from any open water sources (Lake and River). FYI, do NOT use a shotgun to remove Horn Worms from you tomato plants……. Odd, I’ve been at my new place for over 10+ years, have yet to see a snake. After TSHTF, basically don’t be a pig and let garbage and trash build up, if you have a problem with the neighbor, toss your stuff over on theirs the ‘nasties’ will follow. I understand the damage that rats, mice, and other rodents could do to food stores and how to mitigate that. Some other things to consider are that here in the SW, deer mice can carry hantavirus. Prevention is the best protection by wearing a mask and gloves when contact with droppings is probable, and spraying droppings with bleach solution before cleaning it up. I know that ticks can carry Lyme disease, Rocky Mountain Spotted Fever, and others. Fleas can carry Plague. Does anyone know which fish-biotics are the most effective treatment? Mosquitoes​ can carry Zika, West Nile, and malaria. What about post-disaster treatment for those? Personally, I’m feeling the need for more studying​ and acquiring some supplies for treatment for some of these conditions, starting with what has the highest probability for occuring in my area. Skibum, you might want to check out the doomandbloom website, run by a doctor and his wife, a nurse. They’ve written a good survival handbook on survival medicine and first aid. Their website is also very informative. They address injuries, illness, and diseases that occur during/after difficult or disasterous events. Thanks, MT. I do have their book, “The Survival Medicine Handbook.” I’ve read it cover to cover. I learned a lot from it, but there is stuff so much to learn! Two other good books are “Wilderness First Responder” and “Medicine for Mounaineering”. I will visit the Doom and Bloom website for some research, get out the books, and do some studying. Thanks! –	From the CDC website. –	Gentamicin 5 mg/kg once daily, or 2 mg/kg loading dose followed by 1.7 mg/kg every 8 hours IM or IV Not FDA approved but considered an effective alternative to streptomycin.1 Due to poor abscess penetration, consider alternative or dual therapy for patients with bubonic disease. –	Levofloxacin 500 mg once daily IV or po Bactericidal. FDA approved based on animal studies but limited clinical experience treating human plague. A higher dose (750 mg) may be used if clinically indicated. –	Ciprofloxacin 400 mg every 8-12 hours IV Bactericidal. FDA approved based on animal studies but limited clinical experience treating human plague. –	Doxycycline 100 mg twice daily or 200 mg once daily IV or po Bacteriostatic, but effective in a randomized trial when compared to gentamicin. For Lyme i have been prescribed Cipro and Septra..Oil of Oregano also works.. I take 30 drops of the 7% strength( of active ingredient) in divided doses… will be on label….. for the flea and tick bites use tea tree oil, eucalyptus oil or oil of oregano on bite… several times a day, these also help the itching. A good live mouse trap is an enthusiastic cat. With excess mice& rats it will feed itself. Yes, having plenty of outside cats virtually removes all rodent problems. Especially the momma and momma-to-be cats. They love to bring their spoils to the door and show us they are doing their job. Besides mice, rats, squirrels, and chipmunks, they also are good at getting moles. If you let your cat hunt mice, be prepared to buy meds to de worm your cat 1x/month. For rats and mice within a suburb or city, I use some form of self resetting deadfall/pit type trap using peanut butter as bait. (see u-tube videos) I use a self setting tipping plate with a dab of peanut butter on the far edge over several inches of water (to prevent jumping out). I build a primitive ramp up to the edge of the 5 gallon bucket to allow access. these deadfall passive traps will NOT work in an area where it is a mess of spilled food stuffs around so the first order of business is to clean up the environment. For wasps and hornets, I still buy the commercially made attractants from the hardware store and rebait the scent stations about 1x/week with fresh scent. I wear latex gloves when handling the bait as it is oily and will stick with you. I wash up afterwards with Dr Bronners peppermint soap and wash my tools as well. The cheapest trap for wasps and hornets is the modified water trap which is a gallon water bottle with a bottle cap bait station with a small cotton ball holding the scent and suspended by thread. 2 holes are cut in the side from 1 inch circle to 1.5 inch circle. This allows the scent to go out and the wasps to fly in. Commercial yellow jacket traps have access holes that are too small for the bald faced Hornets we have up here. I set these traps up in the perimeter of my yard and in new infested areas, you can begin to notice a difference within 1 week. This will also allow you to track down the nest and deal with that later. I use passive traps such that I can set it up before leaving to go to work etc. More to follow. I have a lot to say on this subject having lost some stored food to rodents before. Learn from my mistakes. Within a city, even the sight of a man running around with a BB gun can bring about some yuppie calling 911 on you. If I use a weapon in a city, I agree and use 22 shorts at relatively close range. Good information to consider for sure. Considering these critters can spread Typhus, Plague, Malaria, Hantavirus and other nasty diseases through the bugs they transport (or the bugs they are), it is a really good plan to keep these populations to a minimum. We don’t have mice and rats (at least not visible ones), but snakes and rabbits are a common pestilence. As much as I dislike snakes, I figure they probably keep the rabbit and other rodent populations in check, so I tend to just move them to some place where they don’t jump out at me. Beyond that, a neighbor has dogs that have killed thirteen rabbits so far this year and coyotes frequent the area and help out some too. Some would like to kill the coyotes and snakes. I’m kind of glad to see them now and then – they are helpful in this situation. One lesson we learned the hard way is not to poison mice/rats if you have chickens. We lost two hens when they caught slow, dying mice. Now we’re strictly traps. There’s no way not to spill some feed every now and then. @ Daisy k, a little pennyroyal on the hat may help to keep skeeters at bay. Massacre update – 5 dead day before yesterday and three today. Neighbor has ten in under a week. It is crazy this year with tree rats. hermit us, just curious about the tree rat type. Are they Fox, Grey, Black, or some western type I’ve never heard of? Or a Red? OK not answer due to Opspec. Tree rats are light chested and mid brown upper, some a bit of reddesh brown and some a little more greyish brown. They are smaller than mane types I have seen, averaging only 10″-12″ nose to rump. Not too much of a meal. Insects are one thing, and those have their ways of being dealt with. As for the rodents, there is nothing better than a bunch of vicious and cute cats to deal with them. I do not think it wise to destroy any possible food source. We live in an urban area and we feed the birds and squirrels. Squirrel s are good eating, I just fatten them up for when they are needed. I have a tool for injecting Poisened rapeseed in gopher holes. The seeds put under the air conditioning unit, under the sheds and wood pile work very well also. By putting it under stuff the chickens cant get to it. The seed is at farm supply stores. No one else has mentioned this in the discussion of eating squirrel, so I’ll throw it out there, knowing it will repulse some folks. Sorry. Many southern folks, especially those who went through the great depression, considered squirrel brains a delicacy. My maternal grandfather among them. He said they had a very sweet taste. Have heard the same from other old-timers. I never had the urge to find out for myself. I wouldn’t advise it now, as some studies have found a possible link to a form of mad-cow disease. There was a recent article where a man died from a mad cow like disease. Doctors couldn’t figure out how he got infected until a family member mentioned that he would eat squirrels and squirrel brains. We don’t have many squirrels around here, although we do have a very few. Post-SHTF, there is every possibility that could change. Recipes are always appreciated. We have copious quantities of rabbits, rats, and several other small mammals living around here. My outside dog was having a major fit the other night; went outside and she had treed two young raccoons in one of my pecan trees. My trusty old Crosman 1377 took care of it without having to go look for a box of .22 shorts. It has also ended snakes and skunks in the past. I didn’t mention it, but peppermint oil has been proven to be a neurotoxin where mice are concerned. They avoid it like the poison it is to them. I have planted several starts of peppermint plants around the area where my mice seem to be getting in. I have been caulking up any cracks I can find, and my plants are still too small and few to make a big difference yet. The two cats and the inside dog are all good mousers, though. For that matter, my various traps work well. And yes, just last night I was chasing a mouse myself and watched it slide through a crack no wider than a fifty-cent piece (remember them?) at full speed. I also use the water jug traps for flies and wasps. I just didn’t cover them, as I hoped the discussion would get around to them and someone else would have an idea how many to put back, (mine are reusable) since they weren’t covered in my source material. I do appreciate the kind words and thoughts from all the commenters. I will try to post something once in a while. BTW, try adding a cup or two of vinegar to your soaking overnight brine for your small critters. Makes them much more tender. Excellent article with excellent comments..
Get a good female cat, we have not had a mouse problem for 5 years since we brought home our Tabby from the pound. We have learned that you need cats if you have poultry. They will take care of the vermin. We actually plan to increase our cat population this year as we are down to one once feral cat. My spouse rescued them a couple years ago. We also have many Fishers, fox and coyote in this area and they will all eat cat. 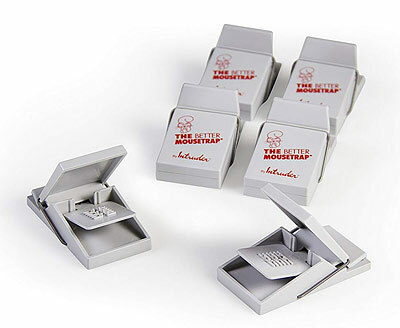 We have and also utilize multiple types of mouse traps. And I even purchased rat traps a few years back to have on hand. We don’t have the level of mosquitos many people deal with but we do have them and West Nile virus was found in the area. I keep our dog treated and we use Sawyer products. I was also told by the vet to put the frontline on our clothing (hats) to deter ticks, mosquitoes and biting insects. We traded a few ducks for a dozen guinea hens last year and we are hoping they will also eliminate many insect threats. Our bluebird houses have had purple martins in them the last couple years and they eat insects. This year I am hoping for one of the large houses for the martins that the Amish put up on a long pole. These birds eat bad insects by the thousands each day. I have had coyotes, skunks, badgers, bear, fox and a mountain lion in my yard, yet our cat has evaded them all. My German shepherd treed the mountain lion and is very protective of his feline buddy. Like people, some cats are smarter than others. We have 2 Barn cats and an inside/outside house cat. The problem with him is he likes to show off his catch to us. One day I wondered what the dog was staring at. Sure enough the cat snuck in a not so well to do mouse. The BB gun finished it off. I dislike the disease carrying/destructive rodents. I haven’t tried it but FWTB read that used cat litter can be a deterrent for around buildings. So cat pee/poop or rodents. I like the fore mentioned .50 cal idea myself. 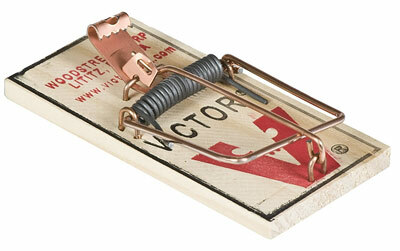 Though we don’t have a rodent problem in the house, I have bought a supply of Victor traps for such an episode. We have lots of the pests in the chicken coop. Poison is not such a good idea so, FWTB has been using boxes of the cheap instant potatoes. Evidently they eat alot of the flakes and then the flakes expand, causing blockage. 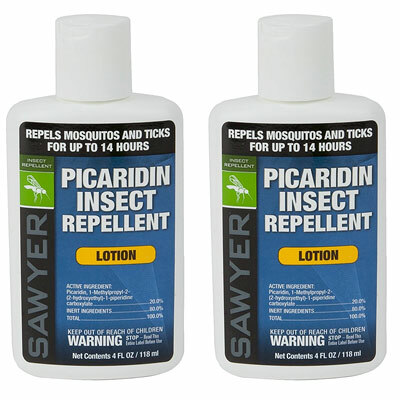 We have a good supply of mosquito and wasp spray. once knew some Ol’ boys who ran a feed store for many years in what is now the suburbs of Denver. I noticed once when I was in there, small pans of brown colored liquid about every 50 feet or so. I asked what it was and got the reply, ‘Pepsi’. No kiddin’. Apparently rats would drink it and it would give them indigestion, they would bloat up and die. Rats can’t belch apparently. I knew Coke was good for all nasty things. And thanks for the elderberry recipe. Now if I only knew where my brothers secret elderberry stash was……. Yup, our cat loves to leave us gifts of mice heads almost every morning on our front porch. Squirrels are pretty tasty. I usually like to cook six at a time. Clean and skin them and keep the leg quarters. Maryland Fried is not really fried, it is cooked in a brown gravy. Thanks Woodchuck, I am always on the look out for wild game recipes. We have an abundance of squirrels. Although we have not eaten squirrel yet, I know that it is just a matter of time where they will become a very important food source. You forgot a picture of the very best rat and mice eliminators. A couple of BIGBADCATS!!! Good article Papa Smurf. On the subject of mosquitoes, as I child raised in Texas w/o air conditioning, it wasn’t unusual for us to sleep outdoors on cots to escape the residual heat inside the house at night. Army surplus mosquito nets made it possible. While we have a decent population of bats around at night, I’m thinking seriously of building some bat boxes to entice a resident population to help keep mosquitoes and other night flying insects down. Wearing long sleeved shirts, with top buttoned, and a hat makes sense when outdoors at night. I have no inside cats, but I do have two yard cats. They have done a good job of keeping us almost mouse free, although we do have some Norwegian rats that are almost as big as the cats. Observed one of our cats in a stare down with one on our porch one night. That booger was about half the size of that full grown Manx cat and wasn’t budging a bit. The .177 cal pellet rifle got him though. He was bigger than most of our squirrels. I don’t believe anyone’s mentioned ticks and chiggers. They are a plague in my region. Ticks carry many nasty diseases, and anyone that’s ever had the misfortune of picking up a large number of chiggers (easy to do), I’ve seen some folks get pretty serious skin infections. The store bought repellents work well, but powdered sulfur dusted on socks and pant legs (stuffed into the socks) does a good job keeping them at bay also. Might mention flies around the outhouse, if those facilities become necessary. A bag of lime in order to sprinkle over the poo, or wood ashes as a substitute will be the order of they day. Seasonal mice and rats so lots of snap traps and a jar of peanut butter. Dogs are turning out to be good ratters. Since there are a few hundred acres of bird sanctuary across the river from me won’t have cats. Finally got rid of the tiny little black ant invaders with borax in sugar. The drainage system we installed seems to have taken care of standing water so very few mosquitoes this winter. When I lived on a Caribbean island a few years back mosquitoes were horrible. But one day my friend was no longer affected by them. Said that her DD had sent her a basket that included Neutrogena light sesame body oil. Tried it myself as a light spritz and rubbed on and no more bites. Walmart had it in a house brand for years (now discontinued) and that worked as well no matter the continent I was on. Smells nice, feels good, and has far fewer (stinky) chemicals than you other commercial products I’ve tried. I wonder if using plain sesame oil would work? It’s worth a try, can’t hurt and if it doesn’t work, use it for cooking. I will be trying it! Always considered trying it but haven’t yet. Did share my anecdotal evidence with colleagues in malaria research though. Since sesame grows in lots of places thought it might be a tool to have in the malaria kit. Victor sells a live-catch trap called the Tin Cat. It’ll catch around ten mice a night in an infested area. I use these where I can’t use the old school Victor traps, like inside the chicken coop. …Mice LOVE chicken feed and chicken poop! Afterward, I take the whole trap and drop it in a bucket of water to drown the mice. Then I feed the dispatched mice to the chickens. Hey; protein is protein!